Corinthian skyphos. 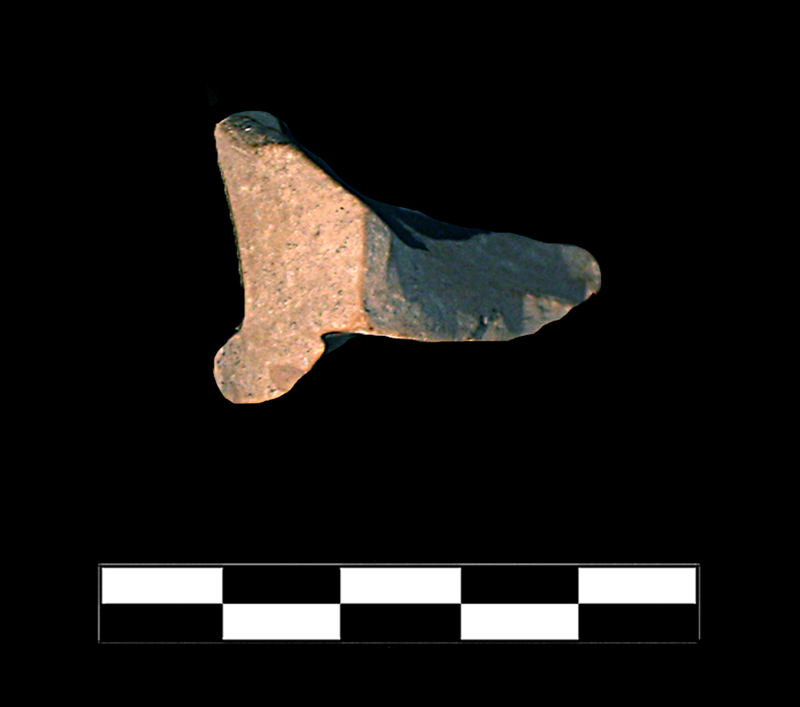 Trace of ring foot. Lower wall rises with slight flare from base. Lustrous black glaze on exterior, interior, and inside of foot. Underside painted with added red. Fine, hard clay with very few tiny voids and inclusions. 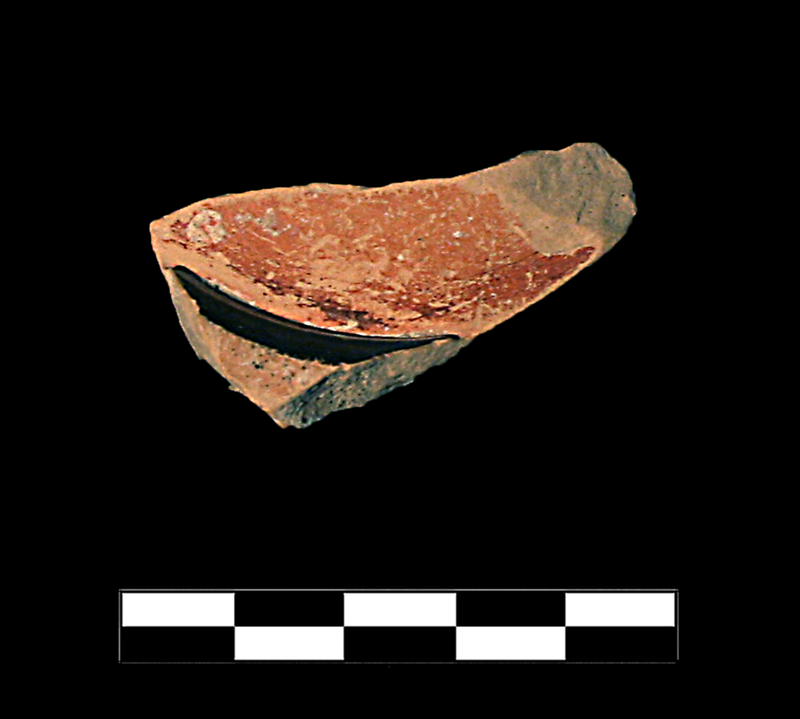 One sherd preserves roughly one quarter of base and small part of lower wall. Extensive abrasion and scratching; severely worn edges. Specks of encrustation.